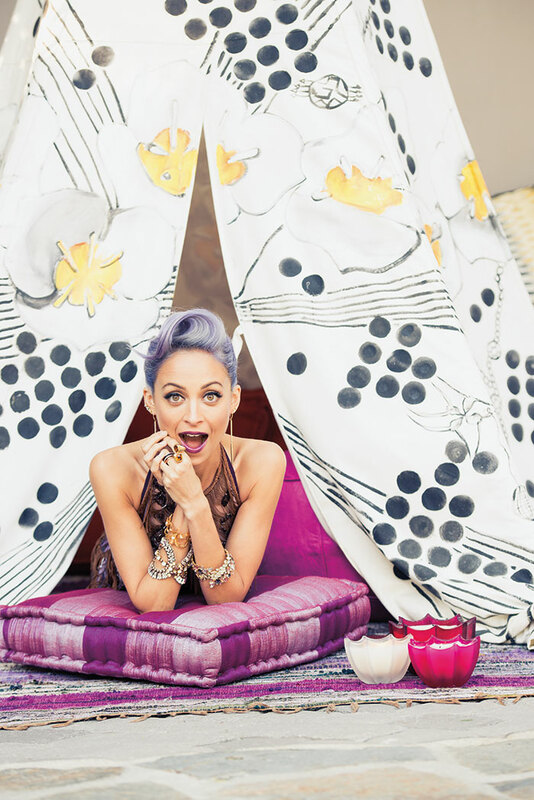 Below are Pictures of Nicole Richie in a photo shoot with Papermag showcasing some of Badia Design Inc.’s products. In the below picture, she has a Moroccan Floor Cushion and a Moroccan Pink Pouf. In this Picture of Nicole Richie, she has a couple of Moroccan Glass Lanterns in the background.